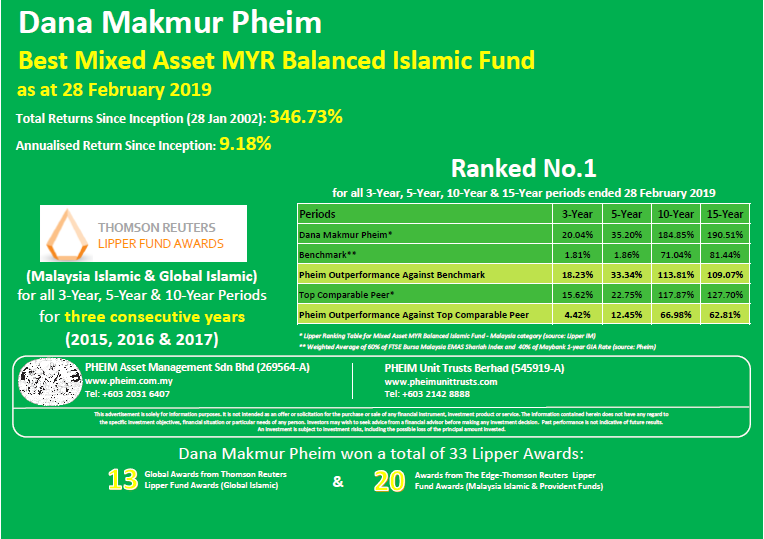 We are pleased to share the 25 Years Milestones video in conjunction with Pheim Asset Management Sdn Bhd’s celebration on its 25th Anniversary held on 19th Feb 2019. 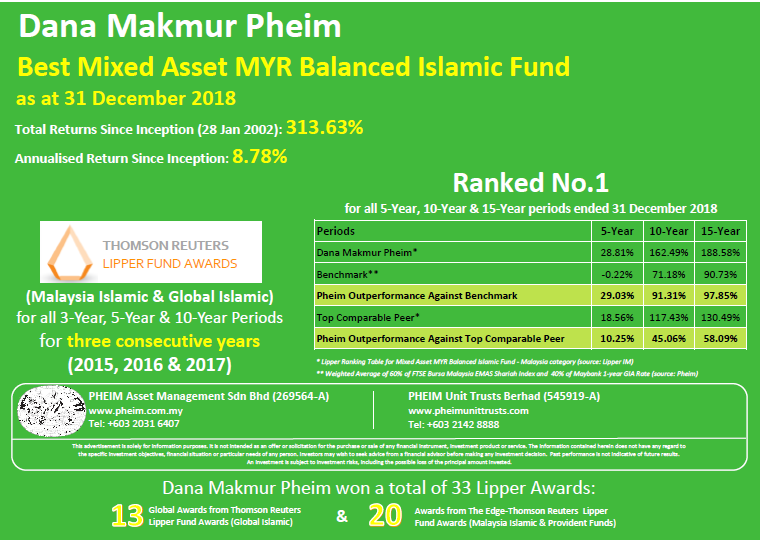 Pheim Asset Management Sdn Bhd – 25 Years Milestones. 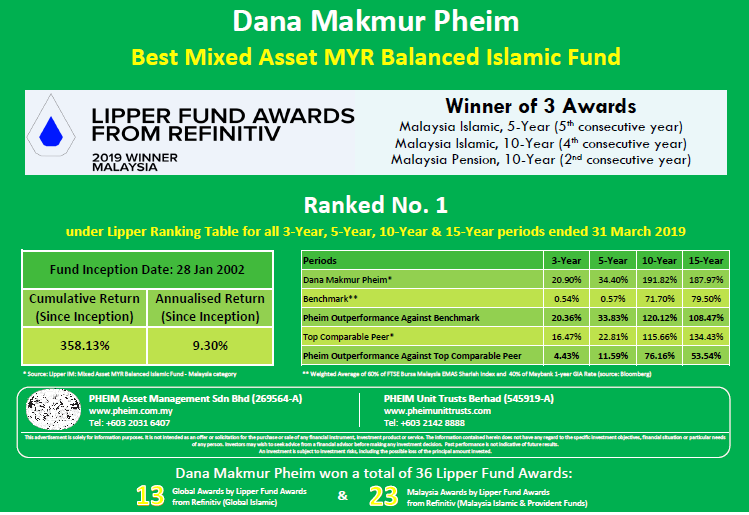 Please be informed effective from 1 March 2019, the EPF-MIS Approved Funds 2019 / 2020 for eligible investors are DANA MAKMUR PHEIM and PHEIM INCOME FUND.